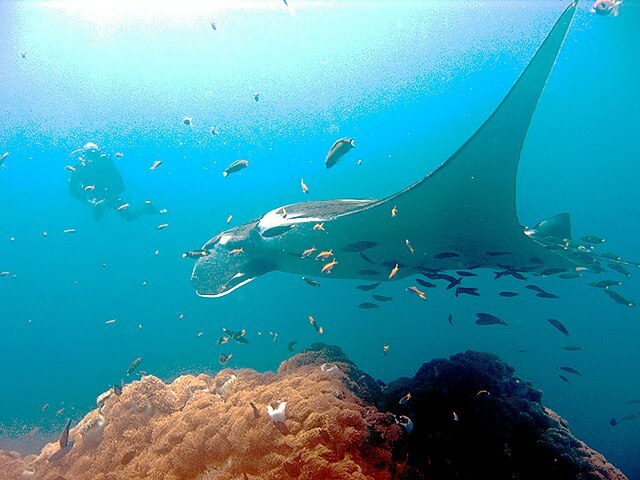 Giant manta rays, sharks, whales, turtles, sea lizards and hundreds of other species are now protected in Mexico's vast new Revillagigedo marine reserve in the Pacific Ocean off the Baja Peninsula. There are four Revillagiegedo Islands about 240 miles (390 km) southwest of Baja California. 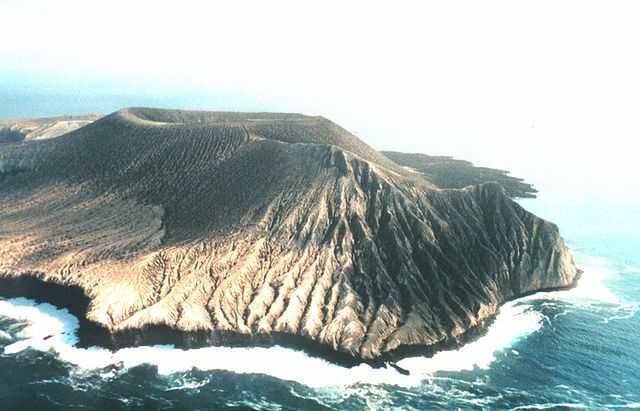 They are small, uninhabited volcanic islands, but uniquely positioned where two ocean currents converge. (Top photo credit). That makes the islands and the waters around them a hub for hundreds of species of marine plants, birds and animals that live there or migrate there especially for breeding.